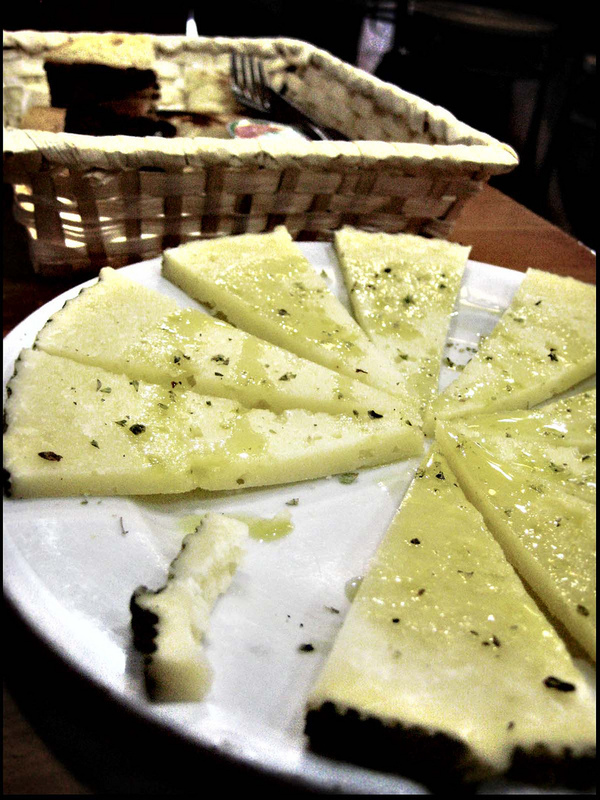 Tapas is a staple offering in most bars in Spain. Traditionally tapas were simply nibbles and bar snacks, but nowadays they have become very popular internationally and virtually formed an entire cuisine. The Spanish eat dinner late, usually after 9pm. That is a long time to wait between meals, and so tapas were born! Tapas started out as a piece of cured meat or bread that was balanced on top of sherry glasses in order to keep fruit flies out of the sherry. Cured meat was salty provoking the desire to drink and once bar-owners cottoned-on to this there was no stopping them. Small servings of just about anything can be offered as tapas with a tendency towards easily available local ingredients, so different regions often offer different choices. Tapas can be served hot or cold. Here are a few of the more popular ones. 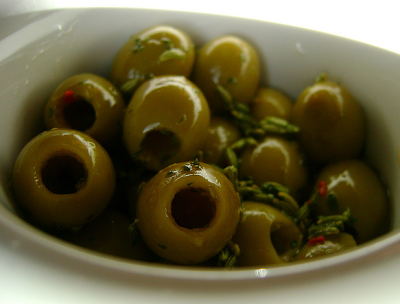 Olives tend to be stuffed with peppers or cheese and served in olive oil. Spain has an ideal climate for olive production, so get ready for some fantastic olives. It took me years to appreciate olives. Now I can’t get enough of them. Anchovies are a big favourite in Spain. When served as tapas they are usually deep fried (and a sprinkle of salt makes them magical) or dished up in vinegar. Watch out squirmish types - little squid, or calamari, are popular battered and deep-fried whole. That is right, the entire body, tentacles and all. If cooked well they will be juicy and not tough to chew through. Calamari is a better choice if you prefer your food not to resemble the creature you are eating. The tentacles are sliced into rings before they are fried. The Spanish do prawns rather well. Spanish prawns are usually medium-sized but they are good meaty prawns and very tasty. 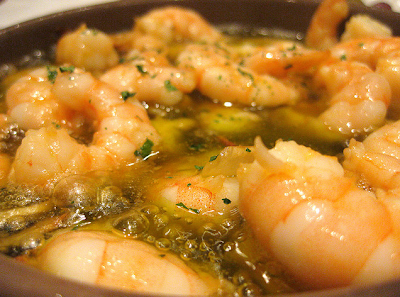 They are often cooked in garlic (gambas al ajillo) and are terrifically and deliciously garlicky. Vampires beware! Prawns can be served with chilli too (gambas pil-pil). Diced potatoes are deep-fried and served with a spicy tomato sauce. They are sort of the Spanish version of a bag of crisps with your drink. Octopus is boiled and unlike the calamaritos is cut up into small pieces and normally served cold in olive oil. Again, it should not be tough or chewy. Little suckers can often be spotted on the tentacles, since the octopus is boiled and not deep-fried. This cheese is made with the milk of Manchega sheep. It is cured for between 60 days and 2 years and the flavour varies in intensity. Slices are often served topped with anchovies. If you hadn’t guessed by now, the Spanish love potatoes. Tortilla is like an omelette cake. Potatoes are chopped up and tossed into a pan with beaten eggs, crafted into a cake-shape and then served in wedges. Do you have any favourite tapas that are not mentioned here? Share them with us below?